The federal government has announced changes to certain federal immigration policies, specifically the Temporary Protected Status program (TPS) and the Deferred Action for Childhood Arrivals program (DACA). For any members of our community who are concerned that these changes may affect their immigration status, we want to ensure that you are supported and have access to the resources available at Harvard. The Harvard Immigration and Refugee Clinical Program (HIRC) at Harvard Law School is available to all members of the Harvard community to provide free and confidential legal consultation about TPS, DACA, and other immigration concerns. If you currently have TPS from Sudan, Nicaragua, Haiti or El Salvador please contact HIRC's office as soon as possible to discuss potential remedies beyond TPS. Anyone with DACA status expiring within one year is also encouraged to contact HIRC. To schedule an appointment please contact Nilce Maldonado or call 617-495-6648. 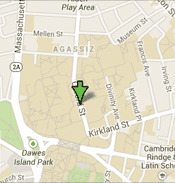 HIRC offers legal support walk-in hours on Mondays, Tuesdays, and Thursdays from 2 – 4:30 p.m. at 6 Everett St, Cambridge, and on Wednesdays from 3 – 4:30 p.m. at the Cabot Science Library. Social Services Support walk-in hours are Mondays, Tuesdays, and Thursdays from 2 – 3:30 p.m. or by appointment on Mondays, Tuesdays, and Thursdays. For undocumented students at Harvard College, the Harvard Office for Equity, Diversity, and Inclusion is available to assist and serve as a point of contact to help students navigate support services. There you'll find resources on campus and in the community, resources for parents, as well as a list of frequently asked questions. For Harvard College students who have questions about this information, please contact Katie Derzon, the Fellow for Undocumented Students. Undocumented students at the Graduate School of Arts and Sciences who have questions or concerns are encouraged to reach out to Garth McCavana, Dean for Student Affairs, or Jackie Yun, Director of Student Services, for support. Graduate students with questions about their visa or immigration status may also speak with an advisor at the Harvard International Office. We recognize this is a time of anxiety and frustration for many members of our community. If you need emotional support, there are counselors available for students through Counseling and Mental Health Services, as well as through the Employee Assistance Program for faculty and staff. The Office of Equity, Diversity, and Inclusion at Harvard College and Counseling and Mental Health Services at University Health Services sponsor at “Reclaiming Your Narrative” support group every Wednesday from 5 – 6:30 pm at The Memorial Church Room G12. A weekly safe gathering at the Memorial Church will provide opportunity for undocumented/DACAmented Harvard students to process the cumulative effects of this toll on their emotional health and that of their families and communities. Through the lenses of narrative therapy students will create a brave space to discuss how current events and social constructs of race, class, and gender shape their identity as undocumented students. Participants will share their own narratives while challenging the dominant discourse of oppression.